Carmel residents will soon have another dining option in the Arts & Design District. Greek and Mediterranean restaurant Papa Fattoush is set to open this summer on Main Street. Carmel resident and restaurateur Elham Alhassoon will own and operate the new eatery with her chef husband, Ahmad Al-Maaitah. Papa Fattoush will be the couple’s second restaurant. They also own and operate Mediterrano, a Greek and Mediterranean restaurant in Castleton. 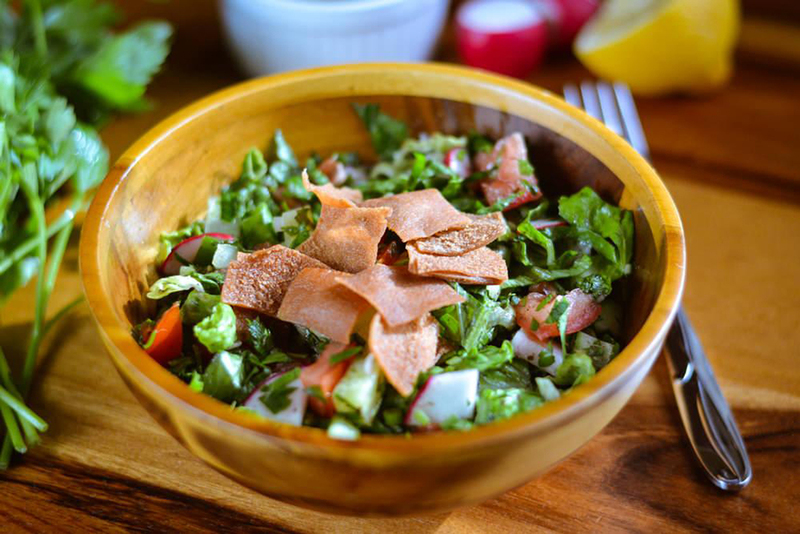 Fattoush, a salad made from toasted or fried pieces of flat bread with greens and vegetables, is one of many Greek and Mediterranean staples Papa Fattoush will offer. Papa Fattoush will feature several vegetarian and vegan menu options as well as meats, such as beef, chicken and lamb. The restaurant will offer dine-in and carry-out service. Customers may also call in their orders ahead of time. Alhassoon said Papa Fattoush is hiring part-time positions. The restaurant is due to open at 15 East Main Street, Suite 100 before the end of the month. An official opening date has not been announced.